Moderat is a German electronic music trio consisting of Apparat (Sascha Ring) and Modeselektor (Gernot Bronsert and Sebastian Szary). Since convening as a trio in 2002, Moderat has successfully fused the legendary bass sounds of Modeselektor with the trickier subtleties of Apparat’s auspicious pop, resulting in dark, glitchy post-minimalist techno with careful lyrics and soaring melodies. 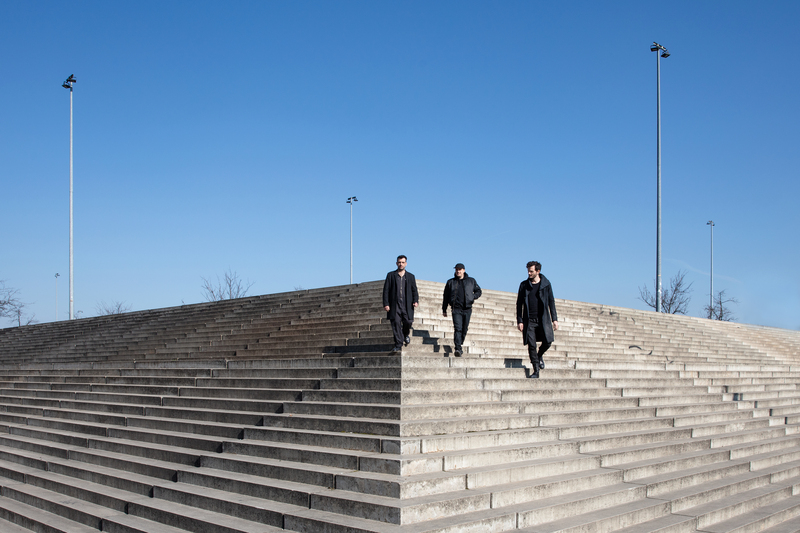 Both Apparat and Modeselektor have been champions of Berlin’s electronic music scene since the 1990s, and Moderat has only built upon that reputation. You can keep up with Moderat on their Website, Twitter, and Facebook.